Every entrepreneur – small or big – always tries different tactics in order to build their brand hugely big. But sometimes what happens is that instead of making it big, it turns out a huge failure for it. Result of this, fall in brand value comes in front of entrepreneurs. 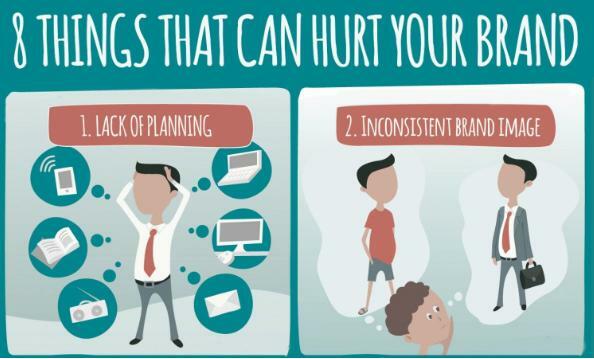 Well, while to make sure that this will be not in your case, the infographic below talks about eight things that can hurt your brand. Hope it helps you plan efficiently the things.